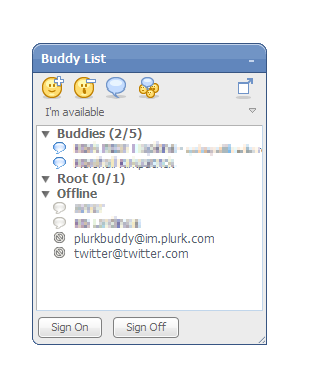 MeeBone uses Adobe AIR to place the popular web-based chat client Meebo on the desktop in it's own window. You can sign into AIM, Google Talk, WLM, ICQ, or any other service supported by Meebo, and you'll get all the integrated video and voice chat options offered on Meebo's website. Which Multi-protocol IM to Choose ? Google Talk for iPhone Now Available !